This service is performed on a 2004 KYB fork from a YZ250. Please refer to your service manual for details for your specific make and model.To perform this service you will need some special TOOLS but it is a fairly easy task and can be successfully completed by almost anyone with reasonable mechanical experience. Just take your time, refer to your service manual and pay attention to what you are doing. The first time through will take 2 plus hours for both forks. Make sure you can allot enough time as you really don’t want to rush the job first time through. 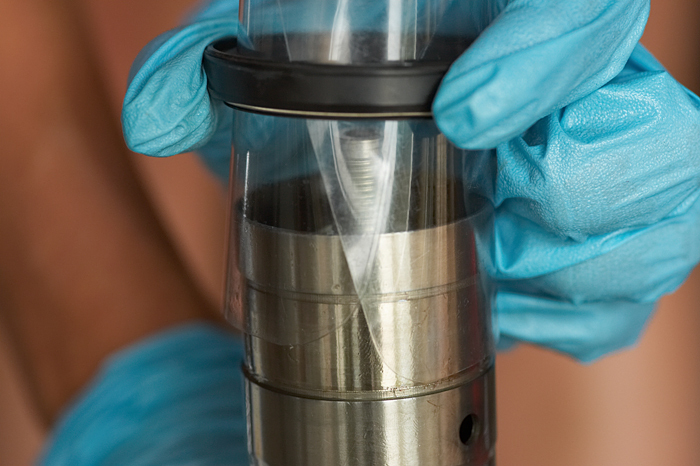 Once you have done fork seal replacement few times you will be able to do it much faster. It is best to service one fork at a time so you don’t mix parts and you can refer to the second fork as needed to confirm proper assembly of the first fork. If you haven’t already, you will need to purchase your fork seals and bushings check RACETECH as they will be able to help you with all of your suspension needs. 1. Remove your fork guards and thoroughly wash your entire bike making sure to pay special attention to the axle blocks, handlebar and triple clamp area you don’t want any hidden dirt to contaminate the inside of your fork. Put your bike on a stand so that both wheels are off the ground, secure it with tie downs attached to the foot pegs so you don’t damage plastic or seat cover. 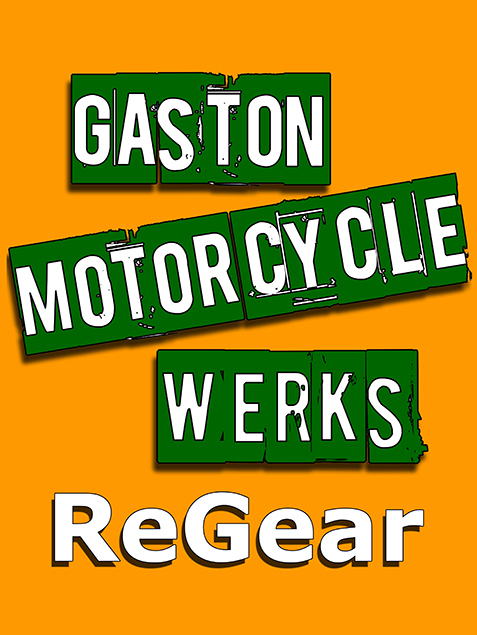 Remove the front brake caliper (no need disconnect the brake line), wheel and fender. 2. Using a clean working surface, lay out the new oil seals, dust seals and inner/ outer bushings for the first fork service. Also set out the tools you will need to complete the service. 3. Remove number plate and loosen the bolts on the top triple clamp keep the bottom bolts tight for now. With the fork still on bike, loosen the fork cap bolt Make sure to note the fork height above the triple clamp for re-installation later! 4. Loosen bolts on the lower triple clamp and gently pull fork leg down while slowly turning it. Keep an eye on the bike so it doesn’t slip off the stand. 5. Remove fork leg completely, set the fork upright on floor and completely loosen cap bolt. Using two wrenches remove cap bolt from damping rod and place on work bench. Remove spring and place on oil pan. 8. With fork upside down carefully remove dust wiper with flat blade screwdriver. 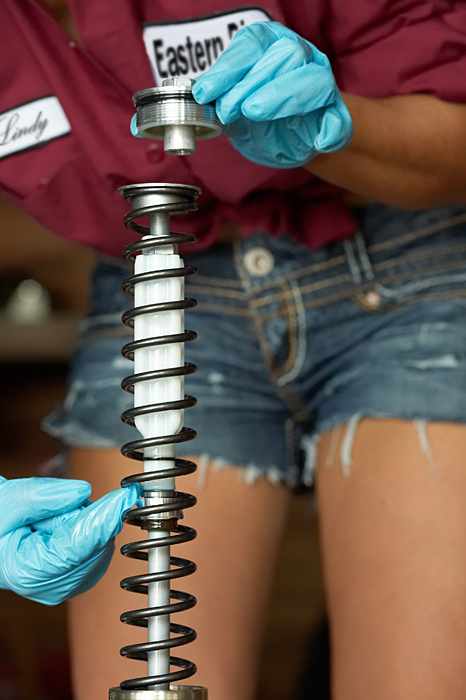 With a clean rag wipe excess oil off and set the outer tube down with your spring. 10. Remove the oil seal washer, remember the direction it faces (sharp edge outward) for reassembly. 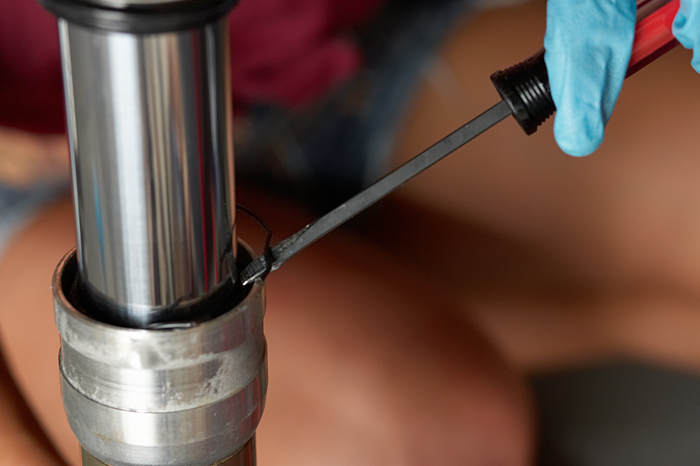 Inspect inner and outer bushings, replace if worn. 11. Install the new dust wiper and oil seal (lightly greased) using a thin piece of plastic or vinyl. The plastic is to protect the seals from the sharp edges of the fork. 12. Install bushings with a small amount of fork oil on them. 13. Insert inner fork tube into outer fork tube. 14. Using your fork seal tool gently tap fork seal into place. 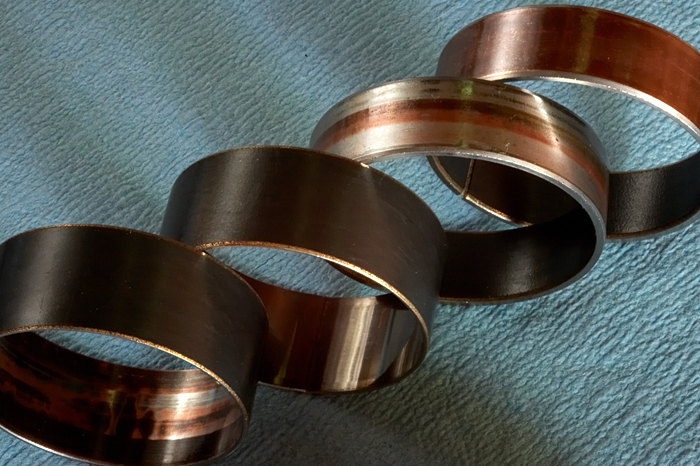 You will know it is in place because you will be able to see the groove for the oil seal stopper ring. Install the stopper ring making sure it is fully seated in the groove. Slide dust seal down and push into place with fingers. Check fork for proper movement. 15. 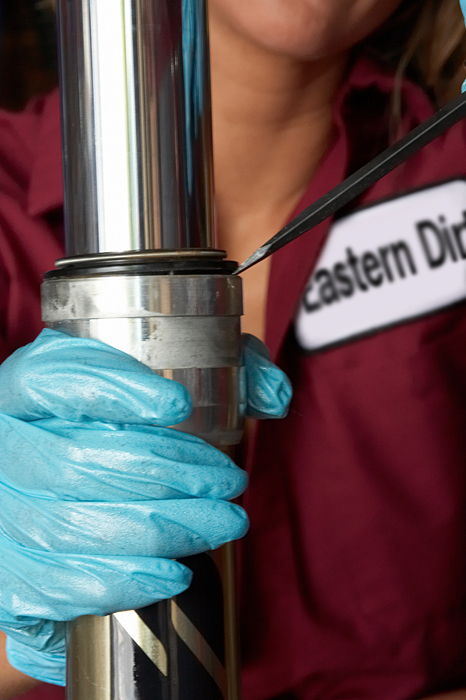 Following your owners manual specifications add fork oil to the fork. Pump damping rod gently several times to fill cartridge with oil, only use about 5-7 inches of stroke, more will introduce air to the cartridge. Add oil if necessary. Let stand for 10 minutes to release any air bubbles. 16. Using you fork oil measuring TOOL set to the manufactures specification remove excess oil pump damping rod gently several times to fill cartridge with oil, only use about 5-7 inches of stroke, more will introduce air to the cartridge. Add oil if necessary. Let stand for 10 minutes to release any air bubbles. Our 04 YZ250 has a range of 105mm – 135 mm, we start with 135mm – less oil because it is easier to add oil if you need to for fine tuning while the fork is on the bike. Note that less oil makes the fork softer & more oil stiffer in the second half of the fork travel, great way to fine tune for rider weight. 17. Slowly slide damping rod out to the end of its stroke and insert spring. 18. While holding damping rod install fork cap and finger tighten. Check the manual for details on how far to thread the cap onto the rod (this affects rebound damping adjustment) Remember to include any washers or spacers! Slide open end wrench through spring to hold top locknut, torque to spec. 19. Slide outer fork tube up to meet with the fork cap and finger tighten. We will tighten this when it is in the triple clamp. 20. Install fork completed leg into triple clamp. Very lightly tighten lower clamp bolts. Now torque for cap to spec. Congratulations! You are finished with your first leg. Install in triple clamp and torque to spec. Now service the other fork and re-install on the bike. Make sure both forks are both same height (see service manual) in the triple clamp. Fork height really effects how the bike will turn. Double check all front end bolts, set your tire PSI and then go for a roost!